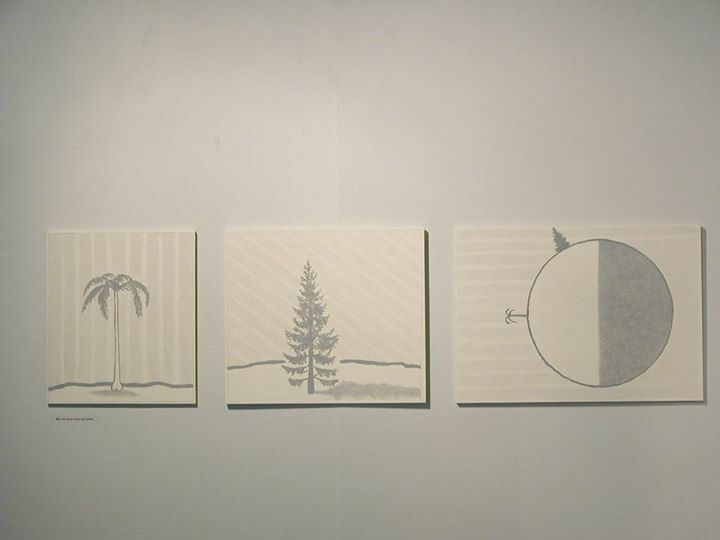 From the project Geography, a collaboration with Patrik Entian, exhibited in Trøndelag Senter for Samtidkunst and Rogaland Kunssenter in 2005. Oil and wax on board. Series of 3. Each 42 cm tall, variable width.